FLORENCE, 20 March 2018 – Despite a world-leading record of commitment to child rights, Nordic countries are failing to provide full protection and services for asylum-seeking children. Protected on Paper? An analysis of Nordic country responses to asylum-seeking children, produced by the UNICEF Office of Research – Innocenti, reports on legal and procedural standards for migrant and refugee children, and the extent to which they are being applied on the ground in Denmark, Finland, Iceland, Norway and Sweden. Protected on Paper? documents a clear tendency in all five Nordic countries to give precedence to migration law over international obligations under the Convention on the Rights of the Child. The report finds that, despite proper legal and procedural measures being largely in place, implementation lapses expose many children to significant risks in the asylum-seeking process, as well as critical gaps in protection, healthcare and education services. 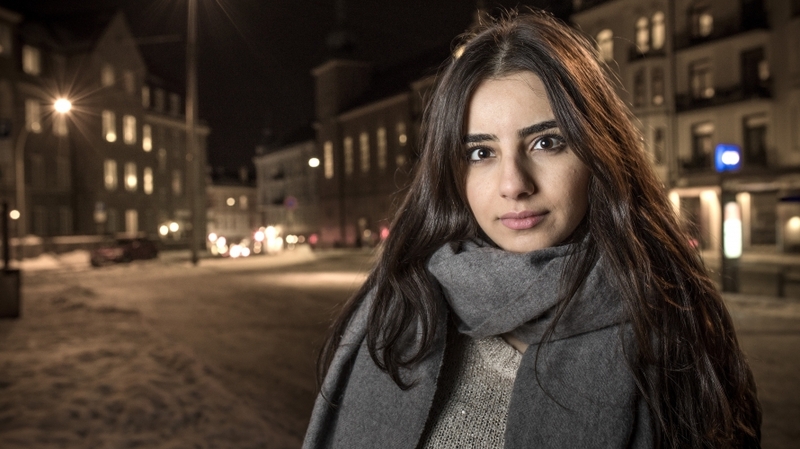 Lilas Alzaeem came to Norway as a refugee from Syria, Damascus five years ago. She now lives in Oslo and attends the medical faculty at university. Protected on Paper?, commissioned by the five Nordic National Committees for UNICEF, is based on in-depth legal analysis, assessment of the practical application of procedural standards—both gaps and good practices—and interviews with leading migration and child rights experts in the five Nordic countries. It also provides detailed recommendations on how procedural safeguards should be strengthened to comply with international commitments. In many instances immigration officers, as opposed to child protection specialists, are tasked to make critical decisions and coordinate urgent care for children. As a result, proper assessment of the best interests of the child—a key principle of the Convention on the Rights of the Child—is not uniformly adhered to for all asylum-seeking children. Another commonly identified problem is the tendency for national standards and principles to be poorly coordinated, communicated and applied by local service providers. Guardianship is a key safeguarding mechanism for unaccompanied and separated children; however, in some cases there is an inadequate firewall between the administration of guardians and immigration services. Child protection agencies should lead efforts to establish clear procedures for recruitment, training, supervision and support of guardians. While the Nordic countries all have well-established mechanisms for enabling children to have their opinions taken into consideration on matters that affect them, asylum-seeking children are given only sporadic and inconsistent opportunities to have their voices heard. This has profound child rights implications in age assessment, best interests determination, guardianship and throughout the asylum process. Noor Ullah (left) and Mohammed Ali (right) originally from Afghanistan, now residing as asylum-seekers in Nesode, Norway. Asylum-seeking children can generally access basic medical treatment, but the full extent of health care services available to families varies widely between states and municipalities. As a result, entitlements are not always clear to either patient or practitioner. Under such circumstances, the growing phenomenon of mental health problems among children subjected to long periods of uncertainty about their legal status, is a primary concern. Most Nordic states’ educational systems have coped with the arrival of refugee children since 2015, but legal and administrative barriers often mean that children wait too long before entering mainstream school systems and early learning programmes. There have been reports of asylum-seeking children being detained, for brief periods, even though national law prohibits detention of anyone under 18, in line with CRC. In some cases, asylum-seeking children have been forcibly returned with their families, while unaccompanied or separated children deported on reaching eighteen years of age. Protected on Paper? provides detailed general and country specific policy and procedure recommendations aimed at bringing the countries covered in the report into full compliance with the Convention on the Rights of the Child, as called for in UNICEF’s global Agenda for Action, and the 2017 Roadmap for unaccompanied and separated children in Europe developed jointly by UNHCR, UNICEF and IRC. Restate the primacy of the Convention on the Rights of the Child, over migration/asylum law, and make an explicit commitment to apply the same rules and standards to asylum-seeking children that apply to all other children, for the entire period they remain in country. Ensure that law, policy and practice stipulate the referral of all asylum-seeking children to child protection authorities immediately upon arrival, and that such a referral becomes an integral element of the registration process. Remove all barriers to asylum-seeking children’s rapid enrolment and full inclusion in mainstream schools and early learning programmes. Ensure that access to equal health care, including mental health care, for all asylum-seeking children serves to integrate asylum seekers into mainstream national health systems, in countries where relevant. For all child protection facilities and services, eliminate any residence requirement for users of services, to ensure that they are accessible to asylum-seeking women and children when needed. Revise guardianship services and establish a code of good practice to ensure that both guardianship and legal representation are available to every asylum-seeking child immediately upon arrival. Help uprooted children to stay in school and stay healthy: Increase collective efforts to provide uprooted children with access to an education and health services, shelter, nutrition, and water and sanitation. Keep families together and give children legal status: Strengthen policies to prevent children from being separated from their families in transit, and faster procedures to reunite children with their families. End detention of refugee and migrant children and create practical alternatives: Unaccompanied and separated children should be placed in foster care or other family/community-based living arrangements. Combat xenophobia and discrimination: Local leaders and organizations must help combat xenophobia and build greater understanding between uprooted children, families and host communities. Protect uprooted children from exploitation and violence: Increase safe and legal channels for children to migrate and to seek refuge by cracking down on trafficking and strengthening child protection systems. This research, commissioned by the Nordic National Committees for UNICEF, examines to what extent the rights of asylum-seeking children are respected and protected in Denmark, Finland, Iceland, Norway and Sweden. The report reviews relevant national legislative and policy frameworks; examines how these are implemented; documents good practices; and highlights gaps in national standards and their compliance to international standards. It makes some broad recommendations on how to strengthen and extend legal, policy and practice frameworks to ensure the full realization and protection of child asylum seekers’ rights and entitlements in the Nordic region. It further provides country-specific detailed, practical recommendations on how to ensure protection and welfare for asylum-seeking children. It makes country-specific recommendations on how legal, policy and practice frameworks can be strengthened to ensure full protection of children’s rights and entitlements.